They were not railway children to begin with. I don’t suppose they had ever thought about railways except as means of getting to Maskelyne and Cooke’s, the pantomime, Zoological Gardens, and Madame Tussaud’s. They were just ordinary suburban children, and they lived with their father and mother in an ordinary red-brick-fronted villa, with coloured glass in the front door, a tiled passage that was called a hall, a bathroom with hot and cold water, electric bells, French windows, and a good deal of white paint, and ‘every modern convenience’, as the house-agents say. 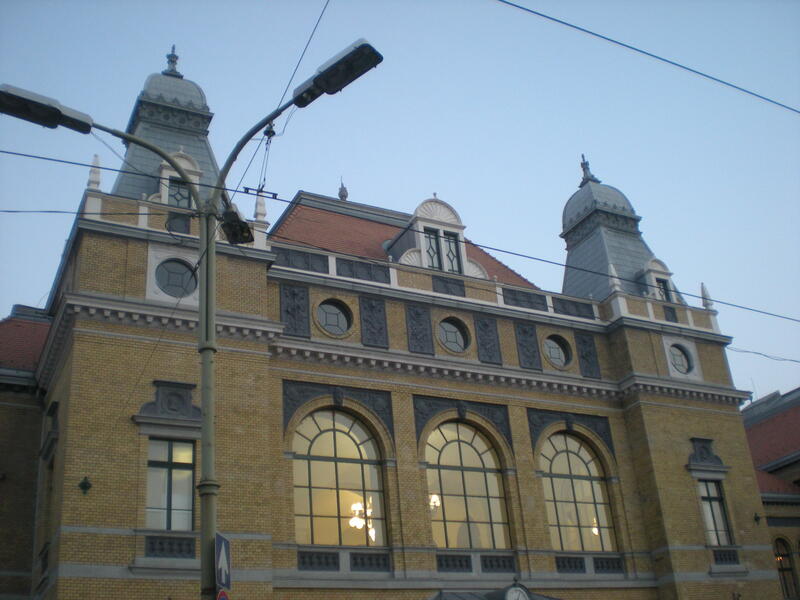 Szeged to Budapest isn’t exactly trans-Siberia. The trip only takes about 2.5 hours and the trains leave every hour on the 42. We were the only two people in first class for almost the entire trip until a mother and her three small children got on in Kecskemét. 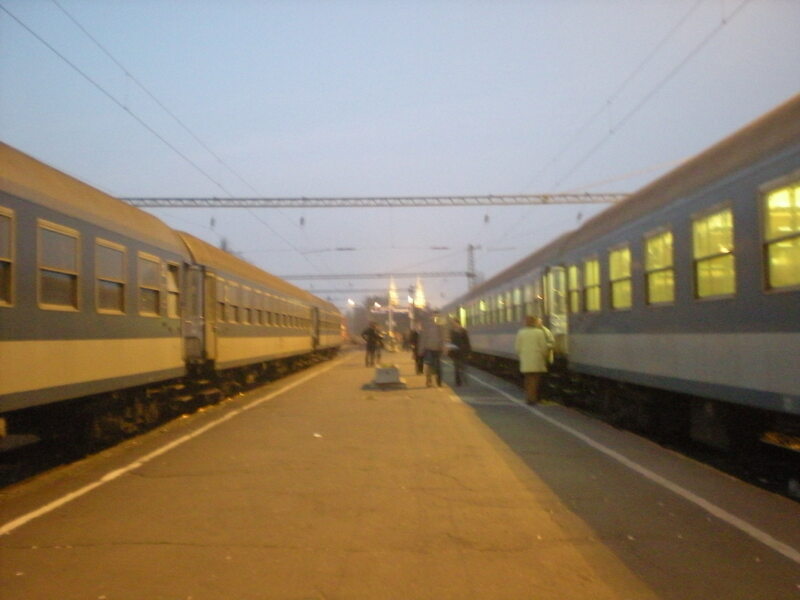 The second-class intercity compartments had more travelers, but still, the train was pretty empty. Even though we were almost alone in first-class, the ticket-guy still walked trough every 30 minutes to announce our next stop. He was very official and took to walking the aisle and announcing the city as if there were a hundred people in the seats. I’ve heard that tradition is a point of pride among railmen and I suppose it’s true in this case as well. The compartment was lit on the inside so it wasn’t possible to see out of the windows. It was a little haunting, actually, because there was the gentle rumble of the train as it went along the tracks, the passing fields that were half caught in moonlight, almost enough to lull you, and then wooosh another train would careen past the left or right windows without warning—all thunder and iron and lights. 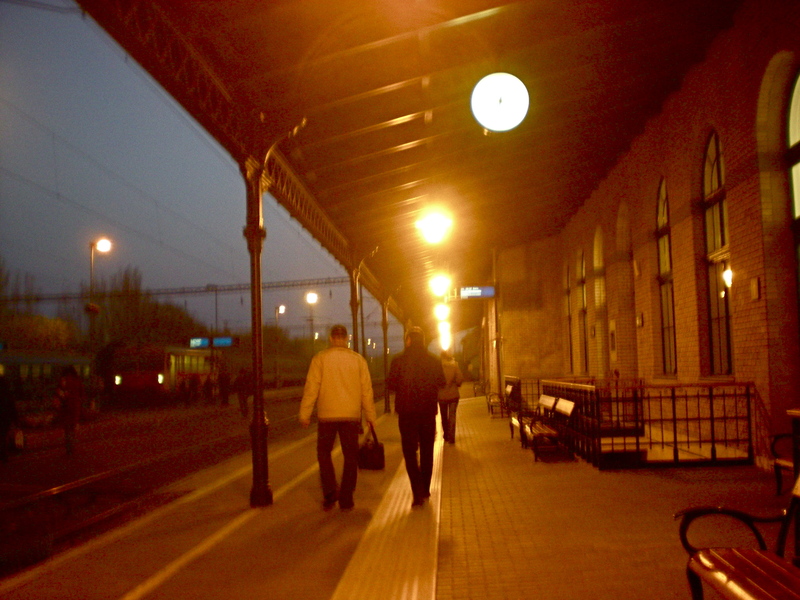 The end of the line in Budapest is the western line, the nyugati pályaudvar. Even though the station is 130 years old (build by the Eiffel company), it is still clear the difference between the cities. 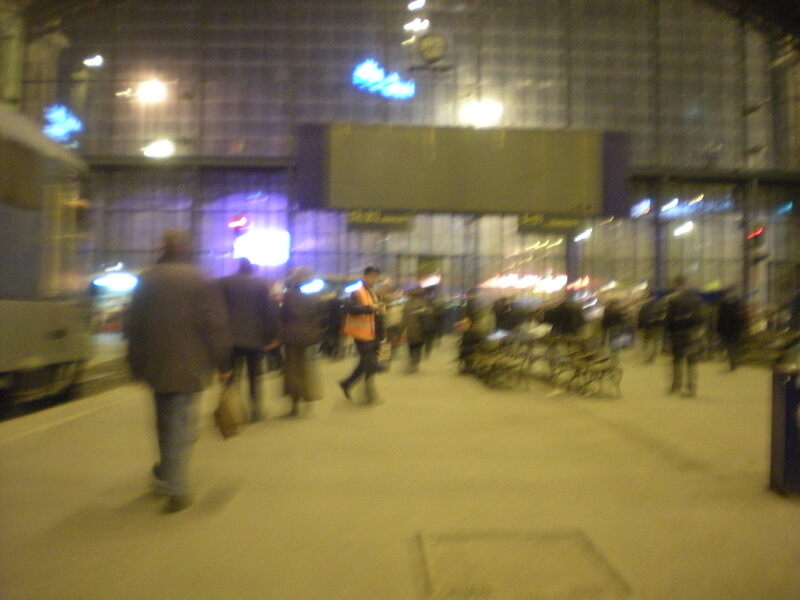 When you step off the train in Budapest, there are hundreds of people, sellers hawking goods outside, young hipsters on their way to clubs, the underground jammed with everyone from cinema goers at the Westend City Center to a man with a guitar playing almost passable old Cat Stevens songs. I was trying to figure out if Budapest was a place that one would either love or hate, but it’s impossible to be so dichotomous. The country changes with each kilometer, the city with each block. As does the weather and the people and each activity and outlook. And in a country that has been occupied, invaded and divided up since the 9th century, I’ve just now realized that change is the constant here. And if you’re up for it, there’s something really wonderful in it. I won’t call it an adventure, because it’s a real, honest life. But there is a nice spirit to the not knowing. It can be a comfort.